Why the JKD Concept is just as relevant today as it was in 1973.
Who is this for? Everyone! If you’ve wanted a progressive experience working through the Jeet Kune Do / Jun Fan Martial arts curriculum this is it. 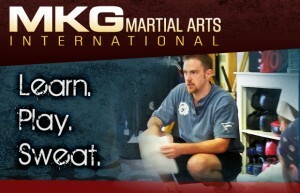 Our goal for these next few series is to get our students up-to-speed by thoroughly reviewing the first 3 levels of material from the MKG International Martial Arts Association curriculum and the modifications and additions made at MKG Seattle. Some of our students have been training for a decade but never tested in the art. They have clearly put in the flight time and know the material for the first couple levels. This is an opportunity to get everyone placed at their level. We don’t sell certification or rank here. It is important to submit an application so we can review your records in advance. ← Child Care During Adult Classes Expanding!